I stopped making fresh tortillas a few years ago when I lost my tortilla press in my divorce. The other day I got a new tortilla press, and I don’t know why I didn’t do it sooner. For a mere $15.95 I could have had fresh, fat free, low calorie tortillas anytime I wanted them, a cost that I would have recouped after the first few batches I made vs. buying Mi Abuelita Bonita tortillas at Whole Foods. Don’t get me wrong, Mi Abuelita Bonita tortillas are a great product that I have written about before, and they in no way resemble the the crap on the end of the supermarket isle. That said, nothing beats a freshly cooked homemade tortilla. These are surprisingly easy to make once you know a couple of key points. The first is allowing the dough to sit for at least 30 minutes prior to making the tortillas allows the masa to absorb the liquid and will give your tortillas a better texture that is more pilable and less crumbly. The second is using parchment paper in the tortilla press. There are tons of recipes out there for tortillas that recommend wrapping the press in plastic wrap, or using pieces of garbage bags, or putting a freezer bag around each of the flat surfaces. I have found that using plastic is really cumbersome. It doesn’t want to hold to the press, and it’s really hard to get the pressed tortillas off it. Parchment paper works great though. 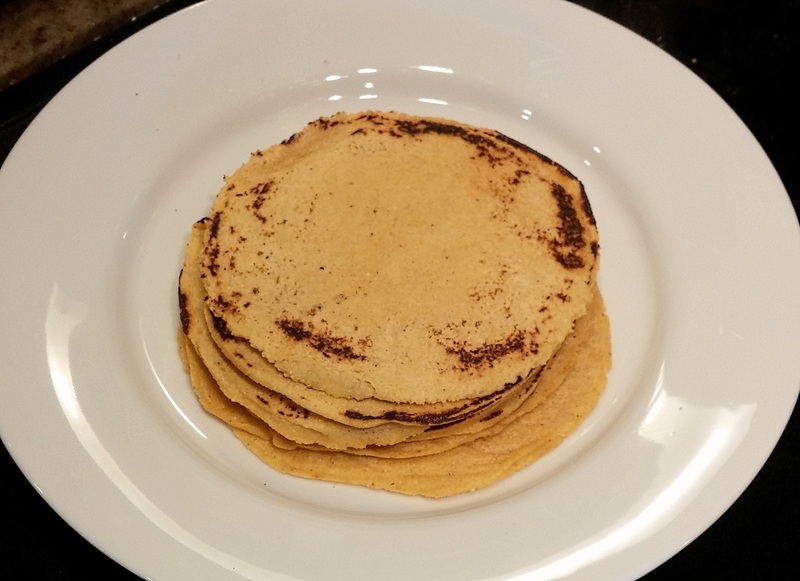 You may need two or three pieces to make a batch of tortillas though, because once the paper has absorbed a certain amount of moisture, it becomes a little more difficult to work with. Summer is almost here, and summer is taco season. Pair these with homemade “refried” black beans, mango salsa, and cliantro lime crema and you have a world-class taco. Or “refried” black beans, shredded pepper jack cheese and pico de gallo. Or use them for shrimp or fish tacos. They’re not pretty but . . . 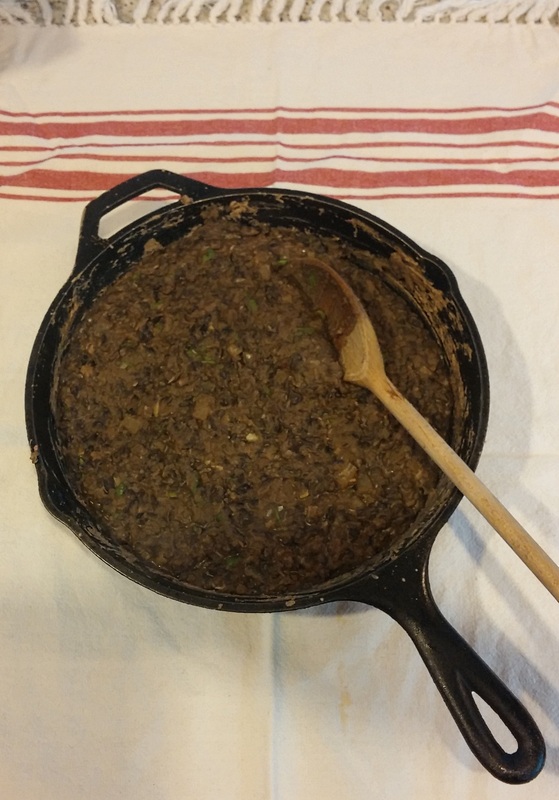 This is an easy and delicious recipe for “refried” black beans. These are great in tacos, enchiladas, or as side. I like to use freshly cooked dry black beans in this. I used to think that it was a lot of extra work to start with dried beans . . . until I started doing it. Obviously it’s not an option if you come home from work on a weeknight and want to whip these up, but if you know you want to make them in the next couple of nights, you just throw some in a pan of water to soak, then boil them while you are doing something else around the house. Once I started using the dried beans, I really noticed the improvement in flavor and texture. Now I use dried beans almost exclusively. Of course, you can absolutely use well-rinsed canned beans and have a great result with this recipe as well. Probably more important than the beans is the broth. 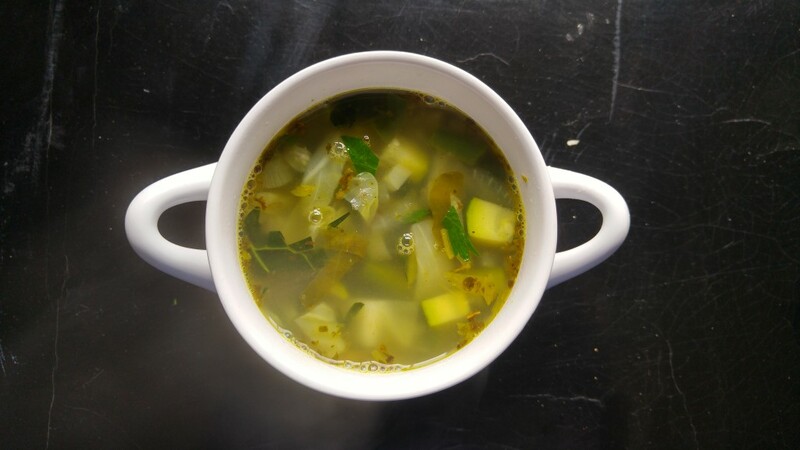 Be sure to use a good broth that you really like the taste of, because the broth adds a lot of flavor to the final dish. These freeze well, so when I make them, I make a big batch, have black bean tacos that night, and use the leftovers in another meal later in the week, or freeze them.